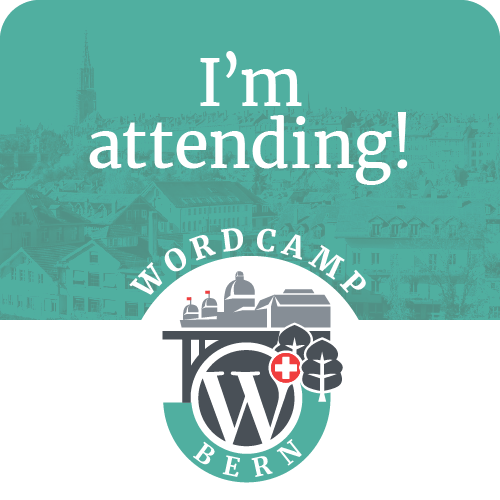 We’re happy to announce that the next Swiss WordCamp is going to be held in Bern this autumn! The organizers have been able to secure the UniS conference location, near Bern’s main train station, and we’d love it if you could join us on Saturday, September 9. This website will be regularly updated as more details are confirmed over the coming months, including speaker submissions, ticket sales and more! We’re also arranging a Contributor Day for Friday, September 8. 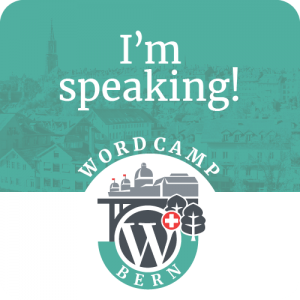 If you’d like to keep up-to-date via social media, you can follow @wordcampbern on Twitter, on Facebook, or in the WordPress Switzerland Slack channel. WordCamps are non-profit events, organized by people from within the community on a voluntary basis. Regular meetups in Swiss towns and cities like Bern, Luzern, Zurich and Geneva all contribute towards a strong sense of community, and Swiss WordCamps give local and international friends and colleagues the opportunity to participate, share ideas, get to know each other, and exchange knowledge and ideas about how to improve WordPress and the sites it powers. 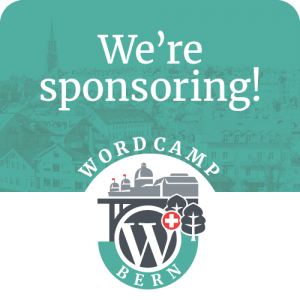 To help make WordCamp Bern 2017 a success, we’re looking for sponsors. We are looking for speakers to share their knowledge, skill, experience and stories within our welcoming community at WordCamp Bern on 9th September 2017. Maybe you know about theme and plugin development, or perhaps you’ve created a great platform using WordPress. All topics and ideas are welcome: we only ask that you follow these guidelines when choosing your topic. Your proposal should be related to WordPress, or immediately applicable and relevant to our WordPress audience. Your proposal should be respectful of the WordPress community, the WordCamp code of conduct, and the GPL. Tell your friends and colleagues that we are looking for a diverse group of speakers. Contact companies that work with WordPress to let them know that we are looking for sponsors. We also need help with organizing the event. As a little thank you to the speakers, sponsors and volunteers we will organizing a dinner of Friday evening before the event. We need help organising this event too. So that everyone knows about the event we need some marketing. This would involve helping with regular social media, writing posts and getting articles in the local newspapers. If would like to help out contact the organization team via email.